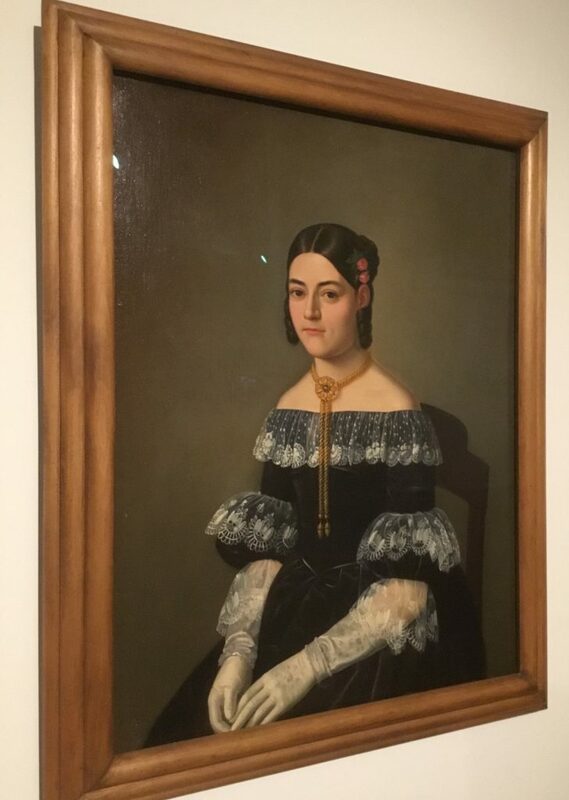 I enjoyed seeing the Brooklyn Museum’s Frida Kahlo: Appearances Can Be Deceiving, but as regular readers of this blog know, it’s always all about the art for me. And while there were plenty of excellent photographs, costumes and MesoAmerican artifact on view there, the exhibit was about Frida–not about her art. To be sure, that’s what the exhibit was about her, not about her art, and it succeeded at its goal. So what is in the show? The photographs of Kahlo create the narrative of the exhibition, and they range from family photos to works of art by the likes of Tina Modotti, Edward Weston and Lola Álvarez Bravo. There’s Frida’s jewelry, shawls, bags, costumes. There’s a cabinet full of objects from Brooklyn’s permanent collection. 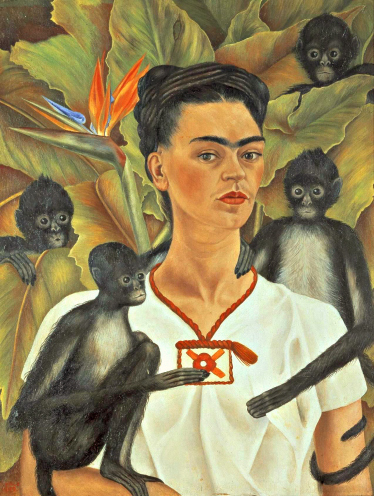 There are a few fine paintings here by Kahlo, which I mention in my review. I wish there had been more and better. It is in the exhibit because that gold ornament is identical to one worn by Kahlo in a nearby photo. Kahlo had a big exhibition of her work in Philadelphia in 2008. Maybe that was on Brooklyn’s mind when it took this exhibit. Or maybe Kahlo is just to big a draw to turn away any legitimate show.